On this page you will find a selection of used machinery for sale, All products we sell will have to have VAT added to the sale price. If you are interested in any machine that we have for sale please don’t hesitate to call. Items can be collected or delivered for a small fee. 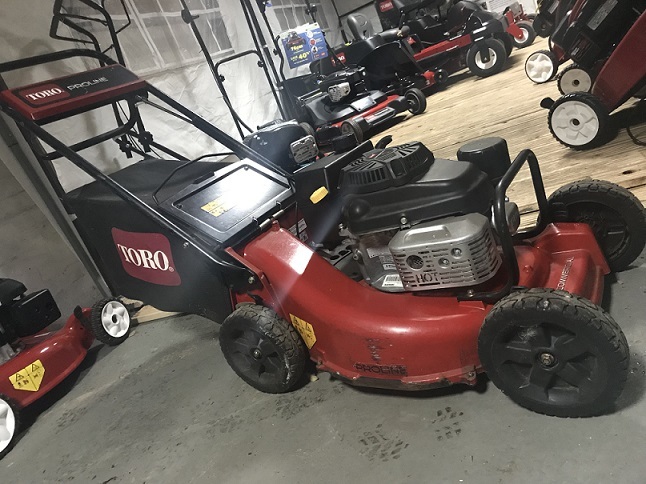 Toro ProLine 22293 for sale, This heavy duty 4 wheel lawn mower with 179cc Kawasaki engine. Its great for them big jobs where a traditional lawn mower would struggle. The Toro 22293 has a corrosion resistant 6.35mm thick die cast aluminium deck. Mulch or rear bag. 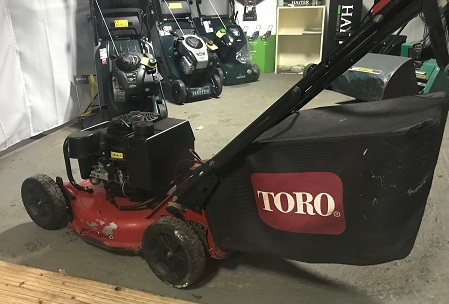 The Toro Super Recycler® cutting system injects minced grass clippings deep into the turf to provide a “just bagged” appearance without the hassle of clipping collection and disposal. 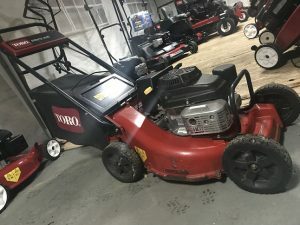 The mower is 2 years old, but has only had 1 year of use. The mower will be fully serviced before it is either delivered or collected.